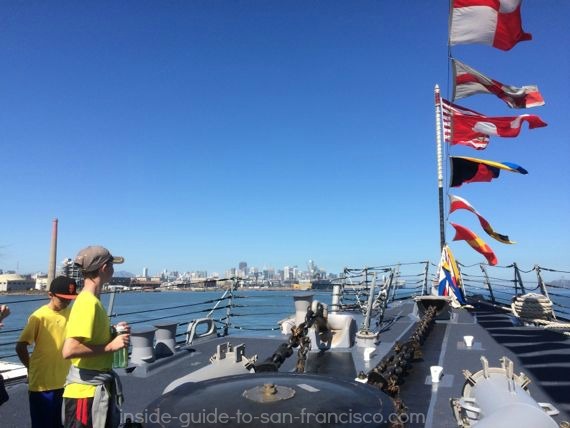 SF Fleet Week Ship Tours: local's tips on visiting the big Navy ships. 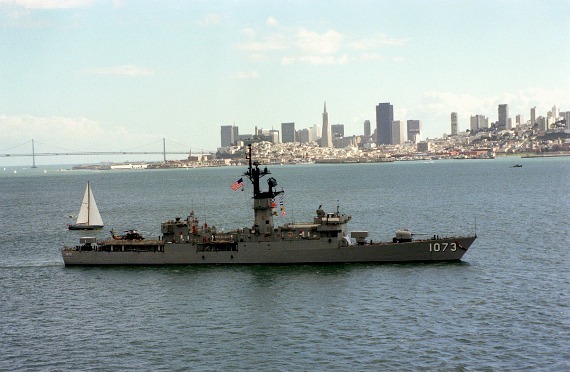 Parade of Ships: Friday, October 11, 2019, 11:45 am to 12:45 pm. Ship Tours: Wednesday, October 9, through Monday, October 14, 2019. See below for ship schedules and locations. To kick off Fleet Week in San Francisco, the Navy sends a line of ships sailing under the Golden Gate Bridge and past the waterfront area. The parade begins at 11:45 a.m. on Friday, October 11, 2019, with the first ship passing under the bridge, followed by the remaining ships. The procession usually continues for an hour or two. There is a good view of the ships anywhere along the waterfront from the bridge itself to the Ferry Building at the end of Market Street. 2019 Schedule for Ship Tours. The names of the ships and the viewing locations probably won't be announced until shortly before Fleet Week begins. I'll post the information when it becomes available; check back the week before Fleet Week. Each year, typically five of the Navy ships have open houses. The public is invited to go aboard, meet the sailors and explore the war ships: pretty cool. Advice for every year: this is very popular, so go early if you can. Expect some serious lines. Ship tours are free. Important: be sure to check out the Navy's requirements for visiting the ships, e.g. no children under 7, government-issued, photo ID's required for all 18 and over, no high heels, no large backpacks or large purses (what = "large"? ), no glass containers, no pets including service animals, etc. Plus, there is no storage area for bicycles, skateboards, or strollers, and they can't be left on the pier near the ships. 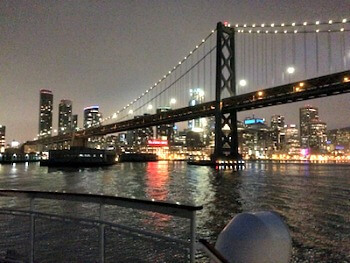 See ship tours on the official Fleet Week site for more info. HMCS Vancouver, a Canadian Navy frigate. Pier 15/17. USS Bonhomme Richard, a US Navy amphibious assault ship. 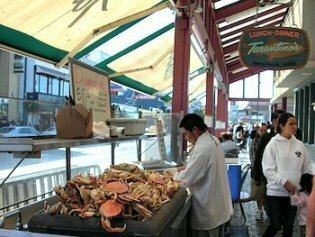 Pier 30/32. USS Manchester, a littoral combat ship. Pier 35. 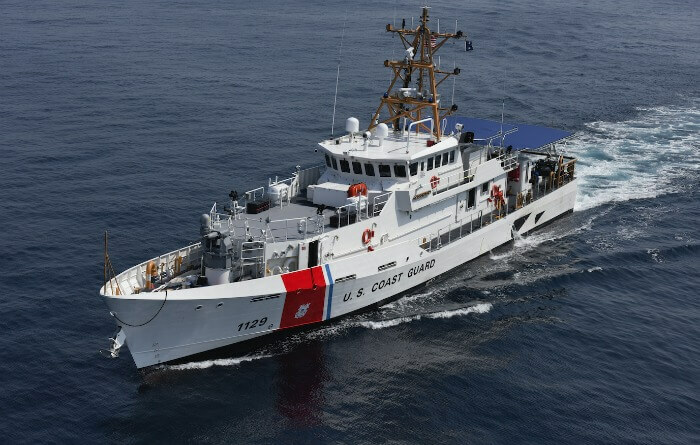 USCG Forrest Rednour, a US Coast Guard cutter. Pier 35. 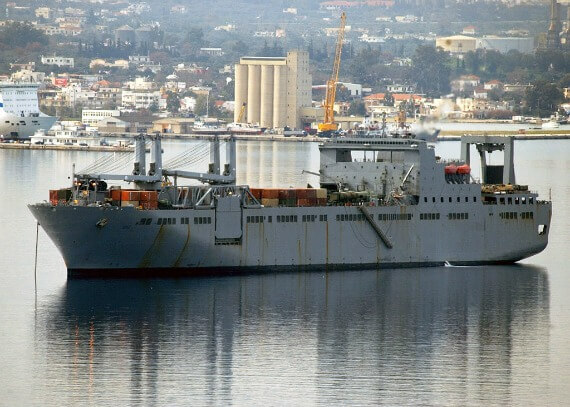 MV Cape Horn, a US Navy ready reserve supply ship. Pier 50. Piers 15/17 house the Exploratorium. There's an expensive parking lot across the street. Piers 30 and 32 are at the end of Bryant Street, on the Embarcadero. There is a parking lot across the street here also. Pier 35 is used to handle the overflow cruise ships when the Cruise Ship Terminal at Pier 27 is in use. It's not far from Pier 39 and Pier 33 (Alcatraz Landing) so parking is challenging. Pier 50 is one of the "industrial" piers south of the Bay Bridge. It's next door to Pier 48, and there's a huge parking lot in front of both of them that's used for baseball game parking at AT&T Park nearby. 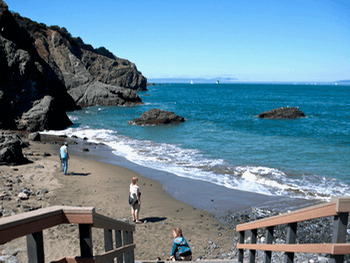 See my page on San Francisco piers for maps of the piers and what's located at each one. For information on parking in the area, see my tips on Embarcadero parking. Another parking option is to book a parking spot in advance through one of the parking apps. I've been using them more and more; you can try Spot Hero for the best possibilities. 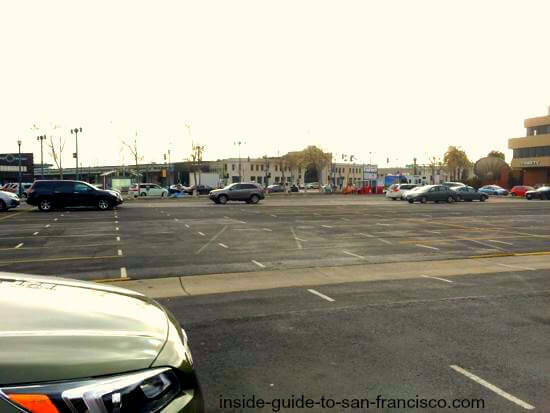 I took a look about a week in advance and found Parking Panda had places at the huge AT&T lot near Pier 50 (one of the ship tour venues). 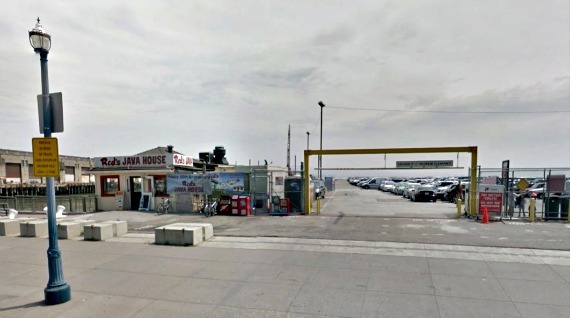 For Pier 32, another venue, Parking Panda had spaces about three blocks away. SpotHero.com had spaces a little farther away, but a little cheaper. 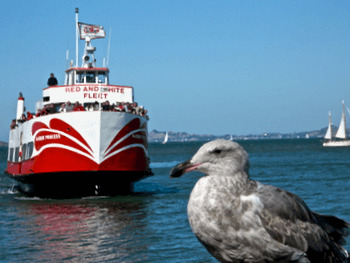 Pier 35 is hosting one of the ships and is right in the heart of things, near Pier 39 and Alcatraz Landing (Pier 33). This area will probably book up the fastest. The Vancouver is a Halifax-class frigate built in 1988. The ship is a general-purpose warship, a little bigger than a destroyer, that specializes in anti-submarine warfare. They generally have a crew of 198 navy personnel and 17 aircrew personnel. The ship carries helicopters as well as torpedoes for attacking submarines. Also, they have surface-to-air missiles for anti-aircraft defense, and surface-to-surface missiles for ship to ship warfare. The Vancouver was part of the Canadian and U. S. naval operations conducted in the Middle East after the terror attacks on Sept. 11, 2001. 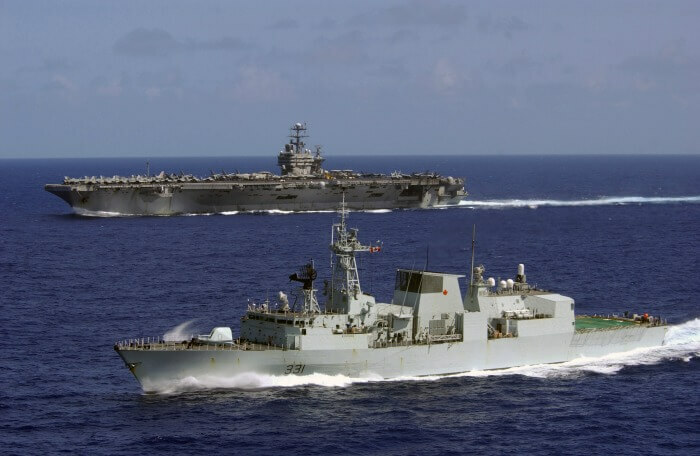 After that, the ship has patrolled Canadian waters and taken part in joint exercises in the Pacific with the Australian and U.S navies, and helped with humanitarian efforts after the earthquake in New Zealand in 2016. The Cape Horn is part of the ready reserve, a group of ships owned by the US Maritime Administration, and is used as back-up by the US Navy. These ships are loaded with equipment and supplies and are prepositioned around the world in locations where they may be needed in an emergency. The ship is berthed normally at Pier 50 in San Francisco, and assigned to the US Navy's Pacific Strategic Sealift Force when activated. The USS Bonhomme Richard is an amphibious assault ship that transports troops, equipment and vehicles for beach landings. It was named after a famous frigate of the same name operating in the revolutionary war, captained by John Paul Jones of the "I have not yet begun to fight" comment. 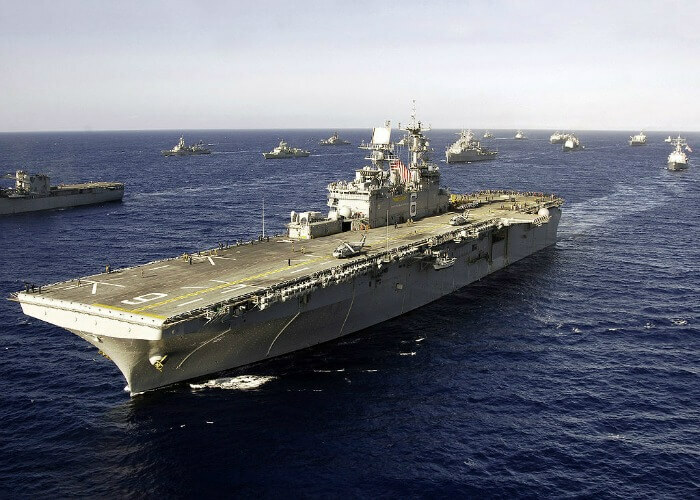 The Bonhomme Richard was active in the 2003/2004 Iraq War, and provided relief supplies to Sri Lanka and Indonesia after their earthquakes and tsunamis. The ship was also used for filming scenes in the 2012 films Battleship and Act of Valor. It is based in San Diego. 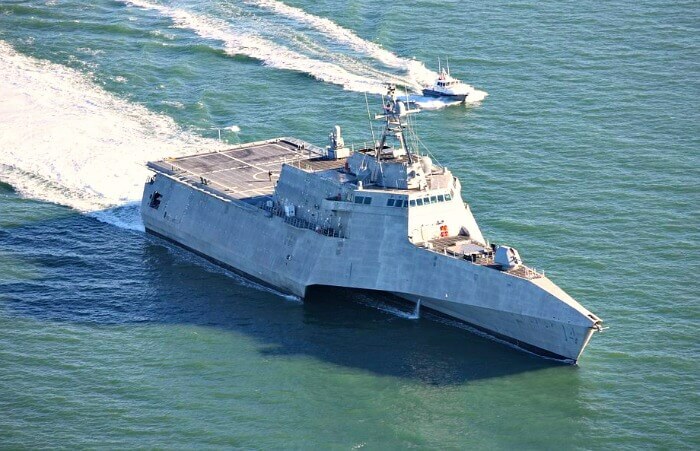 The USS Manchester is a littoral combat ship designed for quick maneuvering close to shore. It can land troops, clear mines, and protect larger ships. The ship also carries missile launchers and helicopters that take off from its deck. The USS Manchester is a relatively new addition to the US Navy, built in 2014 and commissioned in 2016. The home port is San Diego. The U.S. Coast Guard cutter Forrest Rednour is a new ship based in San Pedro, near Los Angeles. Her missions include sea rescues, smuggling enforcement, and patrolling port areas.